This is an official website of The School Of Golf. By using this site you are accepting these terms and conditions. The School Of Golf reserve the right at any time and without notice to amend or alter all content on this site as deemed necessary. This free to access website provides free information regarding The School Of Golf and its products. It also provides contact information and contact methods for The School Of Golf and forms to purchase services. All copyright to all graphics, images, logos, data, databases and html code contained in this website belongs to The School Of Golf and or its clients. Reproduction, adaptation or modification of all, or any part of this website is strictly prohibited without the prior written permission of The School Of Golf or in accordance with the Copyright Designs and Patents Act 1988. The School Of Golf may also collect and store information about users who visit this website to improve the website and improve user interaction based on the information collected, which may include personal contact information in relation to provide The school Of Golf services. Entry to the code, scripts, images or any other part of this website is strictly prohibited. You are prohibited from attempting to interfere with the site service, including, overloading, flooding, mailing, bombing, crashing or hacking all or part of the site content or deleting or changing any site content. 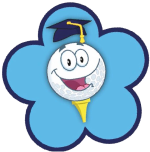 The School Of Golf accept no liability for any errors or omissions on this website. All information and images contained on this website are believed to be accurate, however no reliance should be placed upon any information contained on the website unless it has been confirmed in writing by The School Of Golf to be correct. The School Of Golf is not responsible for unavailability, interruptions in availability, viruses or other defects in the site or its contents. In no event shall The School Of Golf be responsible for any damages to users or their computer systems or otherwise.